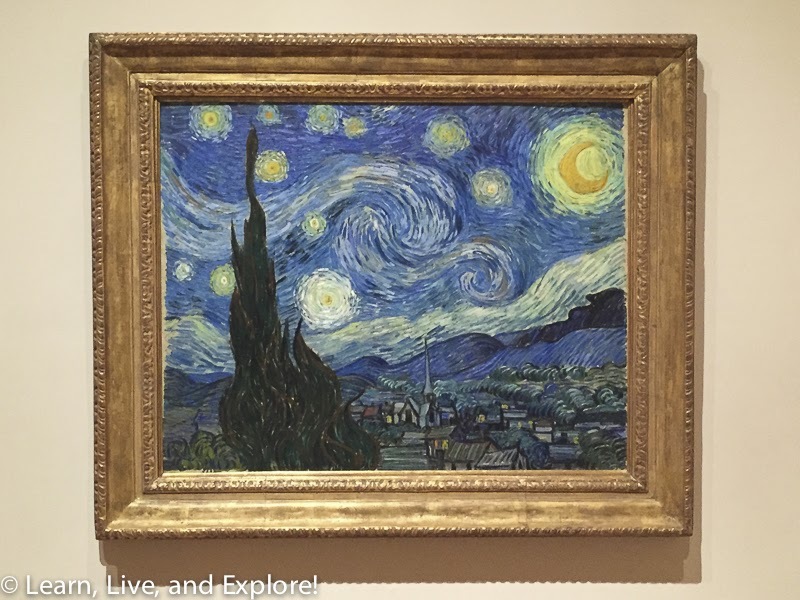 NYC: MOMA and Back on Broadway ~ Learn, Live, and Explore! 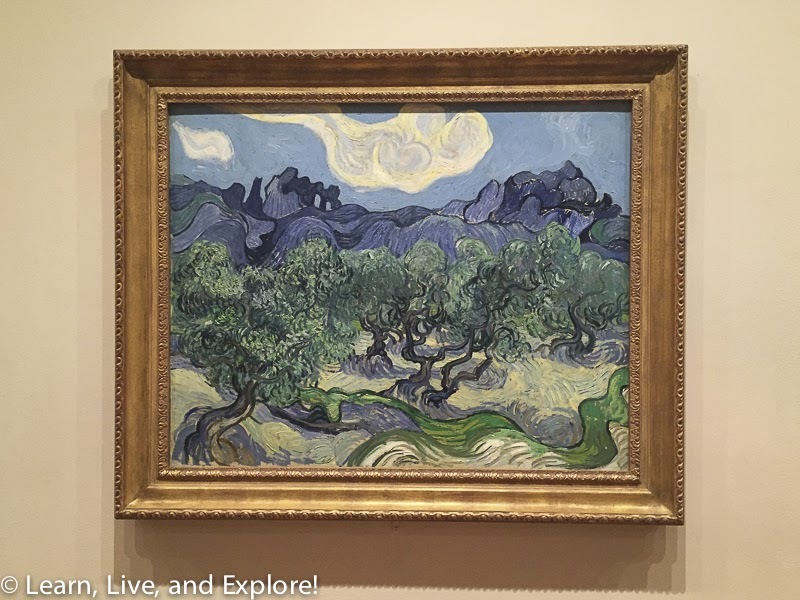 Last weekend, I was up in New York City and did something I have never done on previous visits - visit the Museum of Modern Art, or MOMA as it's more commonly known. Normally, I shy away from modern art museums because I lack the capacity to appreciate the more abstract works associated with the art category, like Jackson Pollack paint splatters or canvases simply painted white and framed. And don't even get me started on the Robert Gober exhibit that is currently on display through January 2015 at MOMA. The whole floor devoted to Gober, to me, was an insult to all people with even a small amount of creativity. 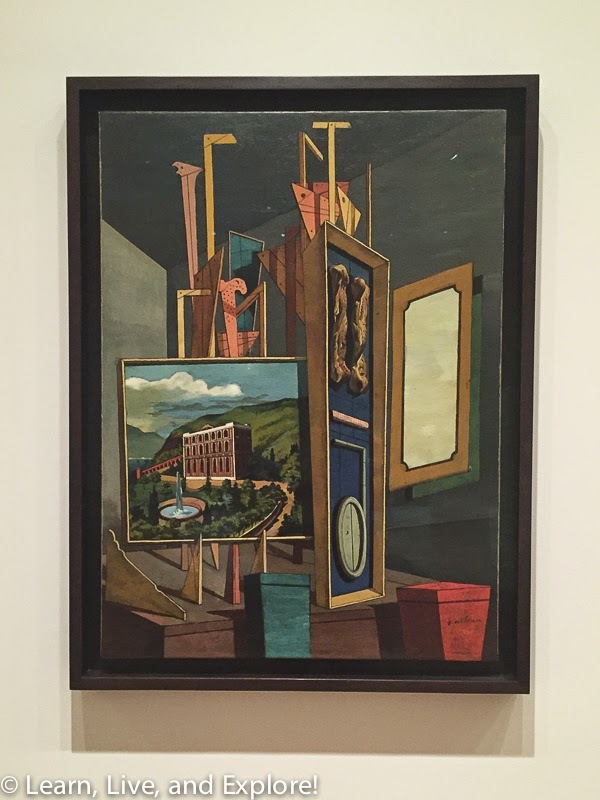 While disappointed with some of the art on display, fortunately I was surprised to find that the permanent collection at MOMA encompasses some of my favorite artists to offset the weird ones. 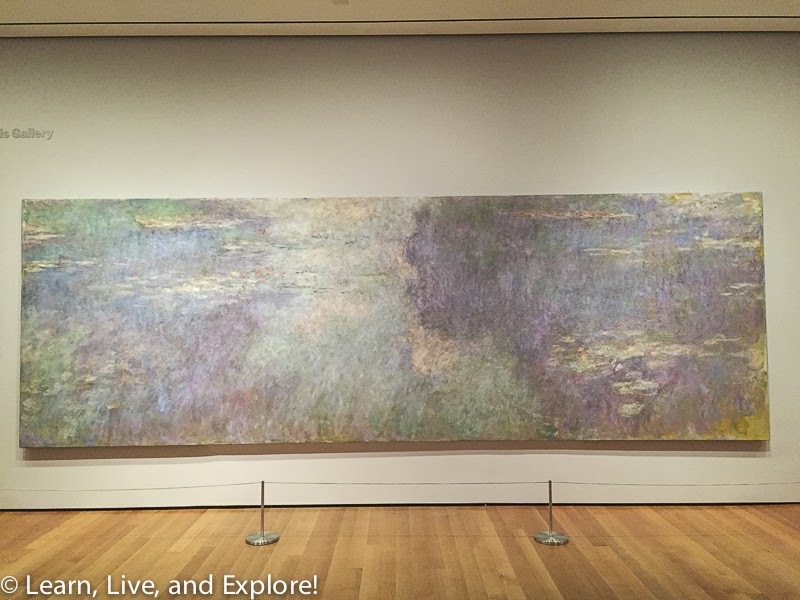 Who doesn't love Monet? 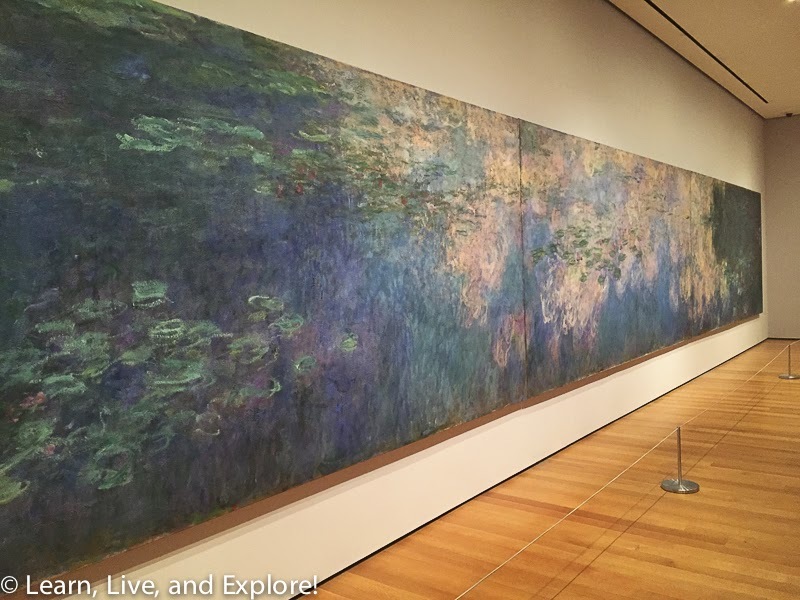 MOMA gives visitors the opportunity to view three of Monet's large water lily panels without the expense of having to fly over to Paris and see the more famous Nymphéas panel collection in the Musée de l'Orangerie. The museum is also home to one of Vincent van Gogh's most recognized paintings, Starry Night, as well as other van Gogh works. 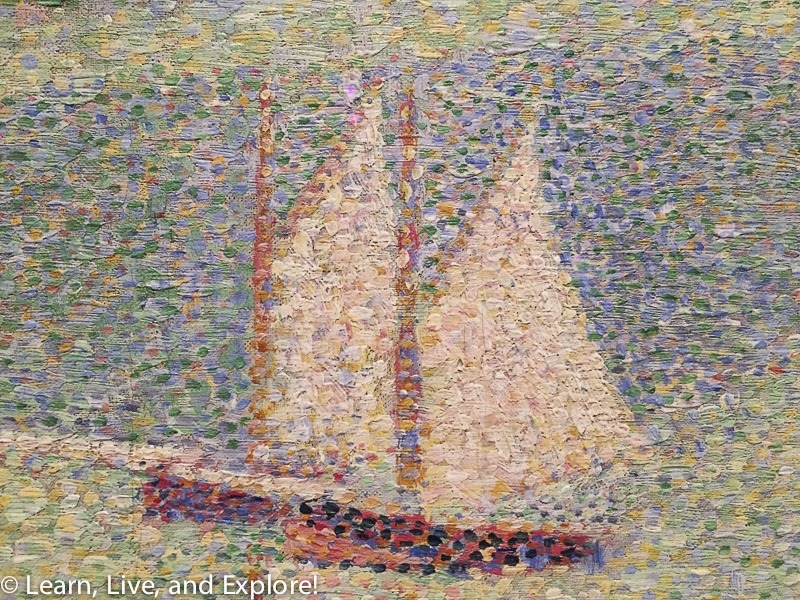 There are also several selections from Georges-Pierre Seurat and his pointillism technique of using small color dots to create an image. 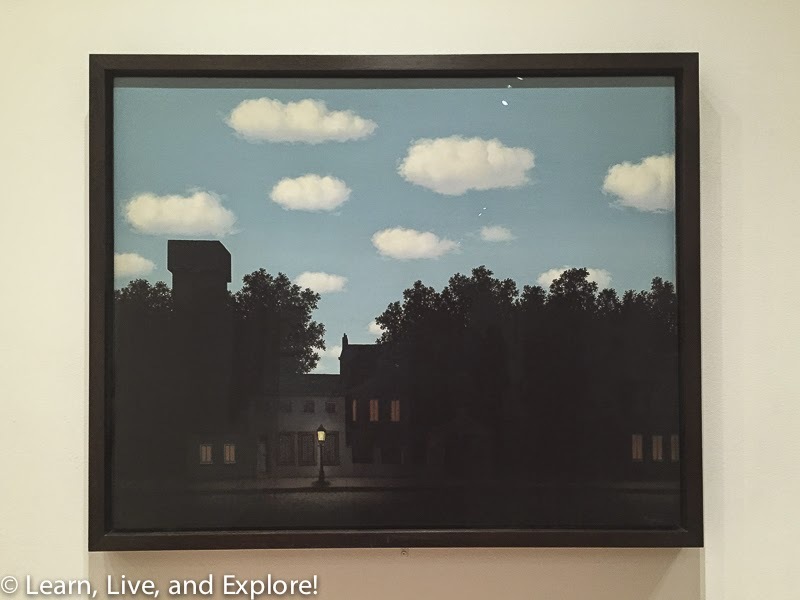 In the surrealism section, I was saddened to find only one René Magritte painting. 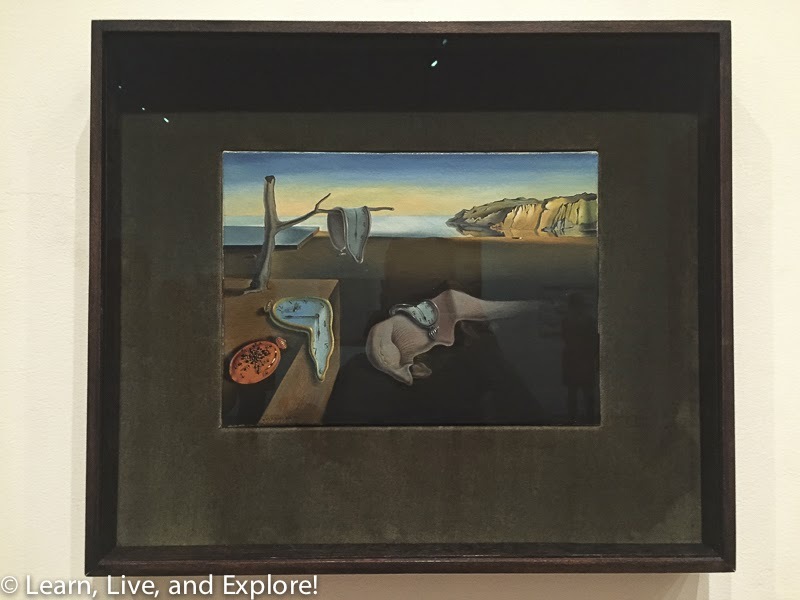 It was on display with pieces from Salvador Dali and his melting clocks, Giorgio de Chirico and his playful perspectives, Picasso paintings and sculptures, and a cute Paul Gauguin that I had never seen before - "Still Life with Three Puppies. 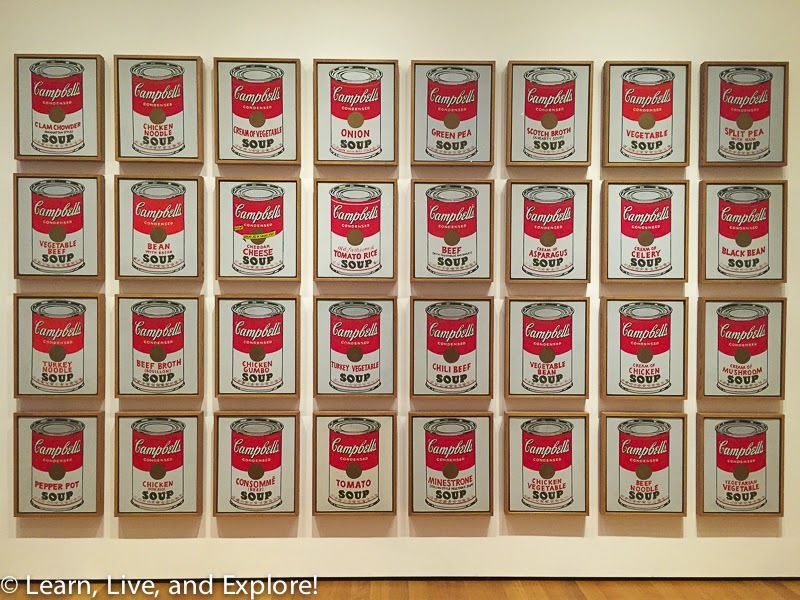 And a trip to MOMA is not complete without seeing Andy Warhol's famous Campbell Soup array and Marilyn Monroe. 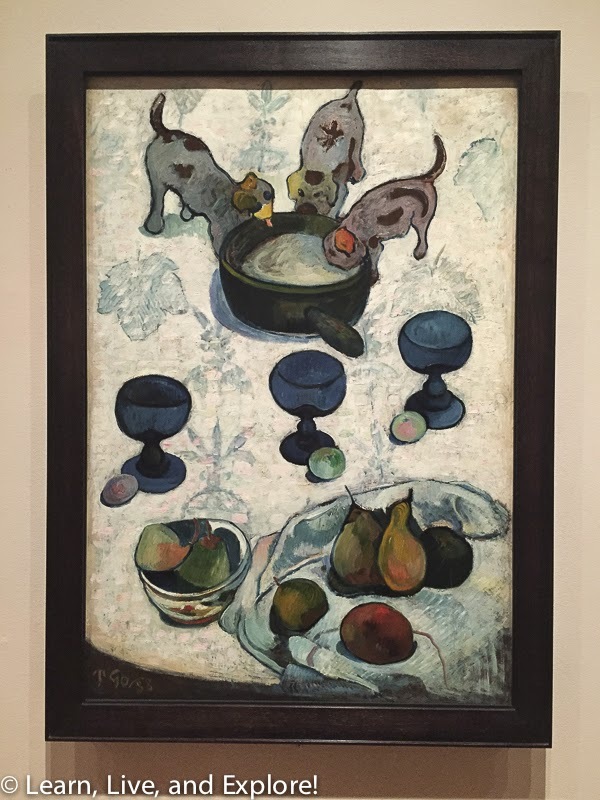 MOMA currently has two great exhibitions on display running through the early part of 2015 that I enjoyed as well: Henri Matisse's cut-outs collection and Toulouse-Lautrec's prints and posters. Here's a helpful travel hint for you if you're interested in visiting MOMA: On the first weekend of every month, if you are a Bank of America customer, you can show your ID and BofA card to the special ticket counter and receive free admission to MOMA. 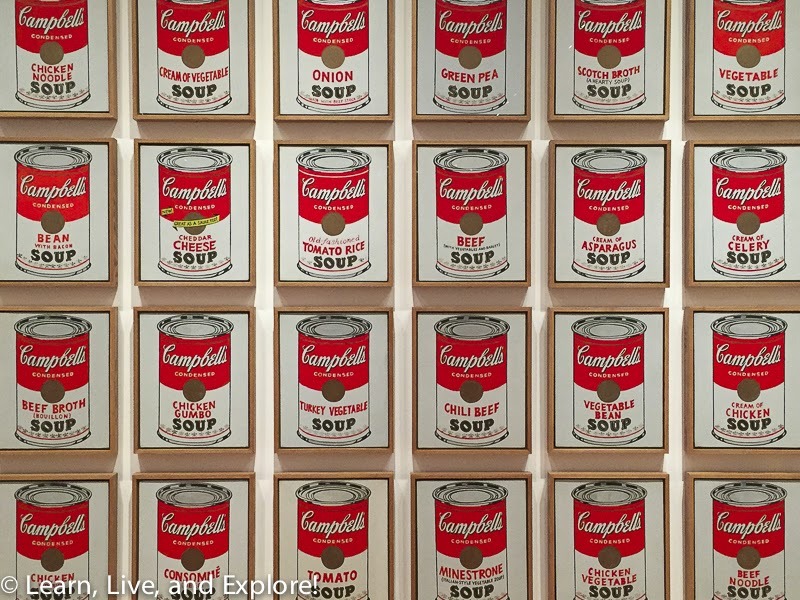 This is part of their Museums on Us program, and MOMA is one of 150 museums participating nationwide. Considering that the normal admission price for an adult is $25, this is a great deal! Of course, I didn't spend all my time wandering around MOMA while in New York. If you've seen my other posts on NYC, you shouldn't me surprised to learn that I also took in a few Broadway shows. First up, a play about putting on a Broadway play, called It's Only A Play, and its cast filled with big name stars. Matthew Broderick and Nathan Lane are together on stage again, as a playwright and his best friend waiting for the opening night reviews. Stockard Channing plays the troubled, aging former Hollywood star trying to make a comeback on the stage. Megan Mullally is the same ditzy rich woman character she played while on Will and Grace, now a producer of the show. And Rupert Grint tries to escape his Harry Potter character by portraying a colorful director. Overall, it was an entertaining production, but I feel like a lot of the jokes will be lost on people who are not intimate with Broadway gossip, personalities, and history. 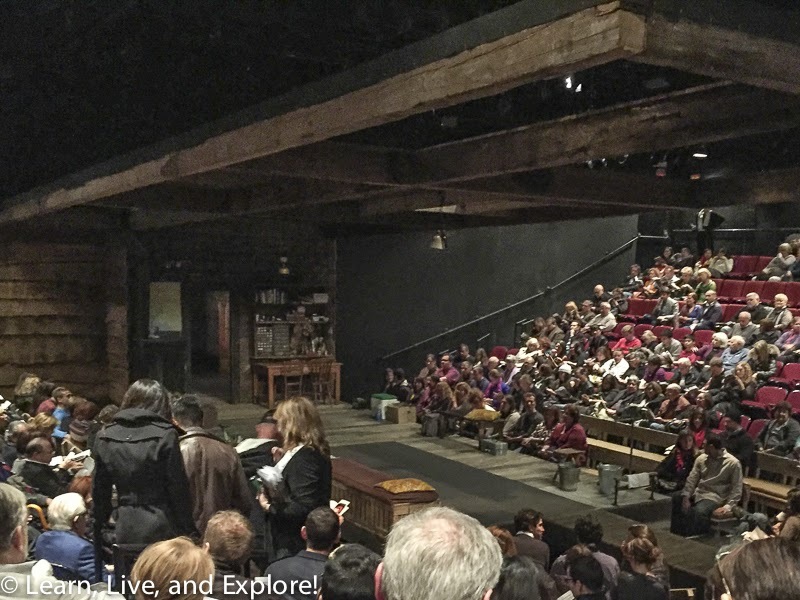 Next up, I caught one of the early previews of Hugh Jackman's new play, The River. 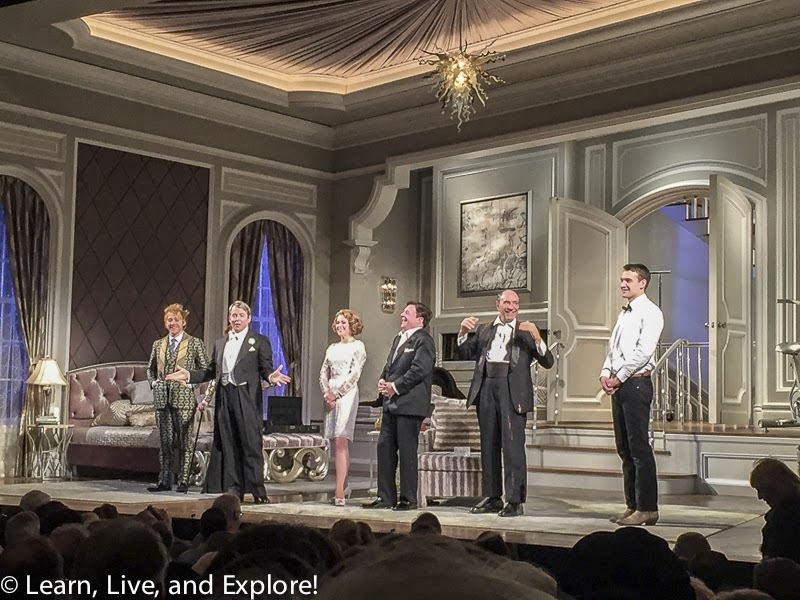 Here's a case where the actors are very good, but the play is just boring. The theater is one of the smallest I've been to in New York, and the seating was in a horseshoe around the stage, so at least you can easily see Hugh gut an actual fish on stage from any seat in the house. 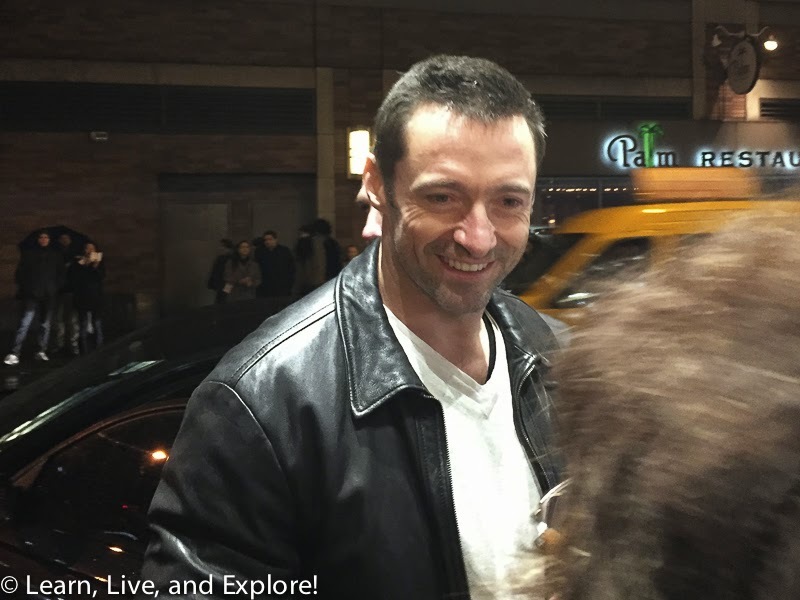 After the show, the cast all comes out to sign autographs - including Jackman. It's fortunate that the theater is located north of the main Times Square group of theaters because there is less of a chaotic scene after the show. I remember seeing Hugh Jackman and Daniel Craig in a play before, and the scene outside the theater was a madhouse! 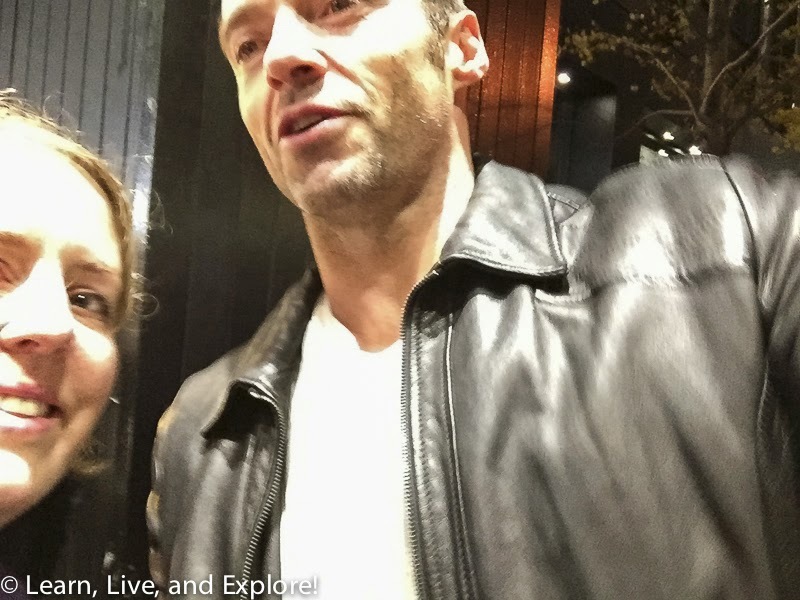 This time, Hugh actually took the time to casually sign everyone's playbill and talk to people. I even snuck a photo, when photos with Hugh technically were not permitted. Finally, I also went to see the new musical written by Sting, The Last Ship. The story is two-fold. First, it is set in a blue collar shipyard town in England, and the workers have just been told that their company is moving production to Asia. At the prospect of losing their jobs, the workers band together in protest and symbolically build one last ship that is somehow funded by the local church. The second theme starts as a love story between two teenagers. The boy, facing a life of having to work in the shipyard like his dad, decides to leave and promises to come back for the girl. Fifteen years later, the boy, now a man, returns after his father dies to an unforgiving girl, now a woman. As a fan of love stories, I had hoped that the flame would be rekindled and the love story would be the primary focus of the show, but it actually takes a back seat to the drearier subject of the closing of the shipyard. I like Sting's music, but I don't love it, so combined with the storyline, I wasn't overly impressed by this production.